Our model transcends traditional investment banking based on our integration of investment banking and strategic advisory expertise. Not only do we determine if a transaction event is the best course of action, and build new value prefacing an important transaction, but we use our strategic expertise to, create leverage with buyers and investors, select a buyer group based on synergistic potential, and achieve maximum valuation outcomes. The principals of our firm are thought-leaders and centers-of-expertise related to the disciplines of investment banking and strategic development. As a result, based on our deep knowledge, we have developed sets of proprietary best practices that are employed within each realm of our transaction and strategic advisory work. These practices produce superior transaction outcomes and advisory results for our clients. Our black-box allows us to identify the optimal modification to any company’s existing customer value proposition entailing the best risk/return profile for that company. This increases the value of a company. Our “purple ocean” approach is proprietary. This expertise is the heart of our strategic advisory offerings, aside from our transaction preparation activities (aligning with buyer preferences), and central to achieving exceptional transaction results. As validated by our client activity list, we have extensive industry experience and expertise. Specifically, we have substantial experience and expertise within eight broadly defined industry groupings entailing manufacturing, consumer products, healthcare, technology, processing, services, transportation, and media. We have done consequential work in virtually all industries, and as such, possess insight into each industry’s strategic and financial counter-parties. 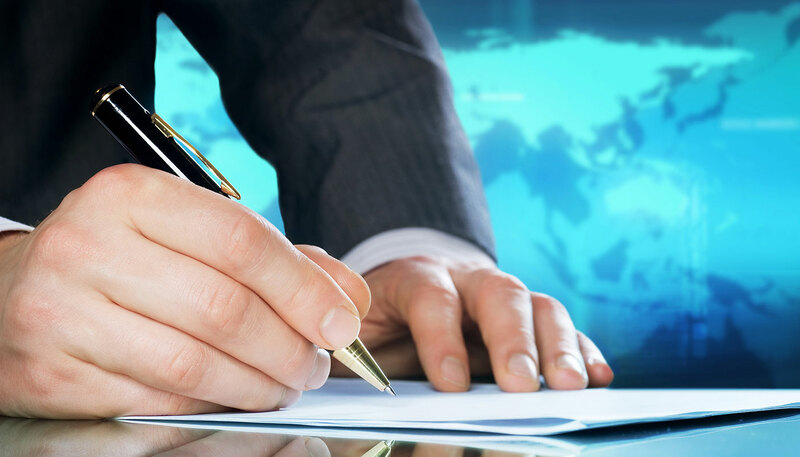 As validated by our client activity list, we have extensive experience related to executing all forms of financing and capital formation, and merger & acquisition events. This diversity and depth is meaningful for any type of transaction given the ability to anticipate and preempt the positions of counter-parties. In addition, this affords us the opportunity to model outcomes before going-to-market with a reasonable degree of certainty. Our senior most investment banker is integrally involved in all investment banking transactions. This approach resides in stark contrast to traditional investment banks that deploy a division of labor to segment discreet tasks of a transaction process. We believe this serves our client’s best interests based on engaging objectives with high-level expertise, and concentrated focus related to every dimension of the process. Our senior most banker is a special asset. Before founding Growth Partners he had a distinguished investment banking career on Wall Street working for three world-class firms and achieving a number of first-time transaction events for well-known companies such as Aetna Life and Colgate-Palmolive. He also founded two companies that achieved over $100 million in revenues. His record of creativity and achievement for Growth Partners is self-evident. As noted, we place a large premium on client quality, vs. quantity, and as a result, we do not accept all of the prospective client engagements and transaction opportunities we are afforded. We carefully evaluate each prospective client engagement to determine if the proper fit exists. If the situation fits, we are 110% dedicated to exceeding client expectations. Each of the firm’s representatives is a successful entrepreneur within their specialty, and this is meaningful because in order to achieve success, a better solution needs to be provided, aside from the belief, conviction and courage behind the solution. Also, Growth Partners’ principals have built and sold their own businesses so we possess a special empathy for our clients. As a result, the firm’s representatives bring deep expertise and special experience exceeding traditional investment bankers. The signature requirement of all Growth Partners representatives that everyone must be intrinsically programed to be a “helper” that derives fulfillment and meaning from the heartfelt gratitude conveyed by clients. In addition, all of Growth Partners representatives must fully recognize the tremendous consequence of their function, and extension of trust by our clients, and in turn, respond with the highest level of commitment, intensity and integrity. These elements compose the soul of the firm. "Growth Partners was instrumental, and at times, vital in concluding a merger with our biggest competitor which was a very delicate process"
- Paul Massey, CEO, MK Realty. - Ralph Beltran, President, Oxnard Metals. “I do not know of another firm with whom I would want to share a foxhole. Growth Partners was put to the test and earned my utmost respect. " - Pete Webber, CEO, Integrated Aerospace. - Bill Murphy, Chairman, ATS Systems. - Jason Zenk, CEO, Monico Alloys. - Sarah Gao, JBS Group. - Howard Kaminsky, EVP & CFO, Sport Chalet. “I saw first-hand how invaluable the firm is. We received spot-on build advice, and years later, Growth Partner did an amazing and creative job handling our sale event." Edward Kinzler, CEO, DK Valve.